Use this feature if you need to tie a one-time password with transaction data. It's specifically useful to comply with PSD2 Dynamic Linking to fulfill Strong Customer Authentication Requirement. Once this is enabled, end users will have the option to Scan a QR code from your application view in the Authy App. First, create a transaction string with the following format. This will be encoded in the QR code. message, details, and hidden_details are mixed with a seed to generate a unique TOTP. The same exact parameters are required to successfully verify the token. Order of parameters is not important but details will be displayed in the same order they are sent. Parameters should be URL encoded. Hash Dictionary containing any details related to the transaction you want the end user to see. Hash (optional) Dictionary containing any details related to the transaction you don't necessary want the end user to see. The recommended length for a transaction string is under 300 characters. It is not recommended to exceed 600 characters. 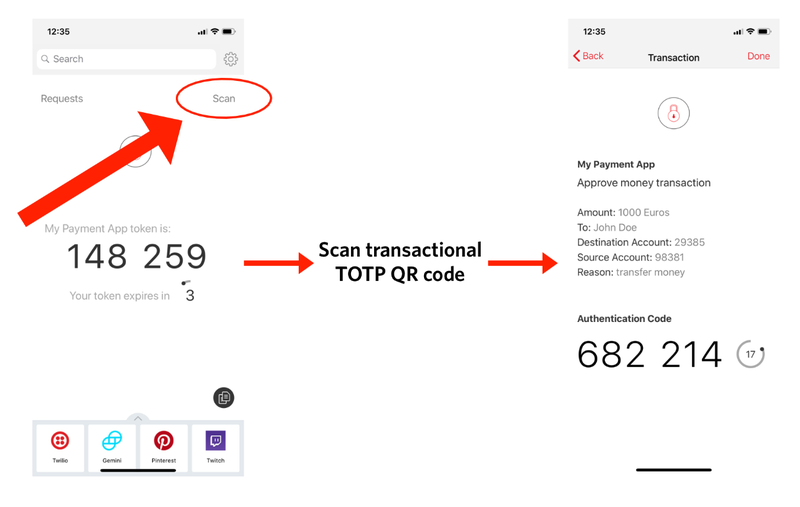 Longer transaction strings create more complicated QR codes and cause slower scanning, especially in older smartphones. This example's length is 228 characters. After the QR code is generated display it so your user can scan it with the Authy App. 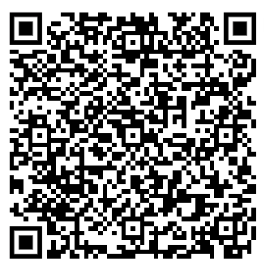 Here is a sample QR code generated from the example transaction string. Your QR code may not look exactly like the example above when you recreate it. Test if the example works by scanning your QR code with the Authy app on your smartphone. To verify a transactional one-time password, pass in the user provided token, the user authy_id and the transaction message, details and hidden_details. Twilio will use HTTP status codes for the response. String The format to expect back from the REST API call. json or xml. Integer The 6-8 digit transactional TOTP you are verifying. String The Authy ID for the user validating the token. Until you successfully verify a token for a new user, this will return 200 (see Note)*. Invalid token. If you wish to verify the token anyway, pass force=true (see Note)*. 401 "The param details can not have empty values." For example a request with ?details[Name]=&details[Surname]=Doe will fail. 401 "The param hidden details can not have empty values." For example a request with ?hidden_details[ID]=&hidden_details[Account]=690239 will fail. Every new Authy user must complete a verification before subsequent authentications can be done. Otherwise, see how to force verification of unregistered users here.